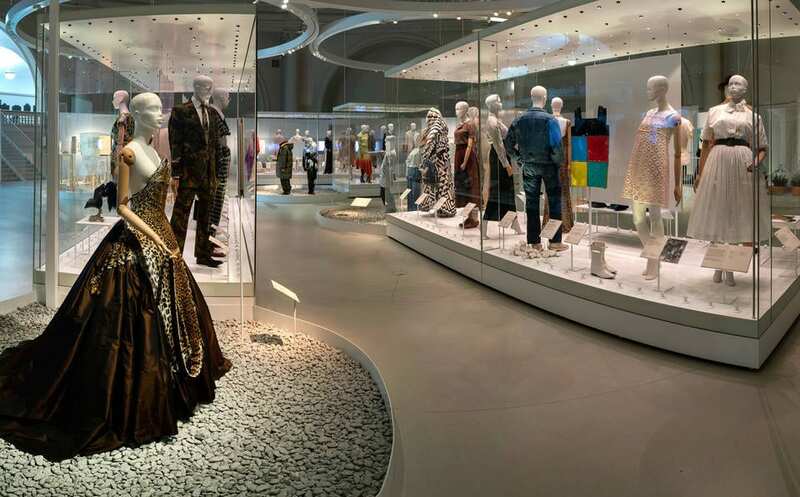 Every year the world’s famous and historic Victoria & Albert Museum in London curates a major fashion exhibition that brings relevant cultural issues to the forefront. This year’s theme is Fashioned from Nature, the first UK exhibition to explore the complex relationship between fashion and nature from 1600 to present day. The exhibition presents fashionable dress alongside natural history specimens, innovative new fabrics and dyeing processes, inviting visitors to think about the materials of fashion and the sources of their clothes. (V&A Museum, 2018). 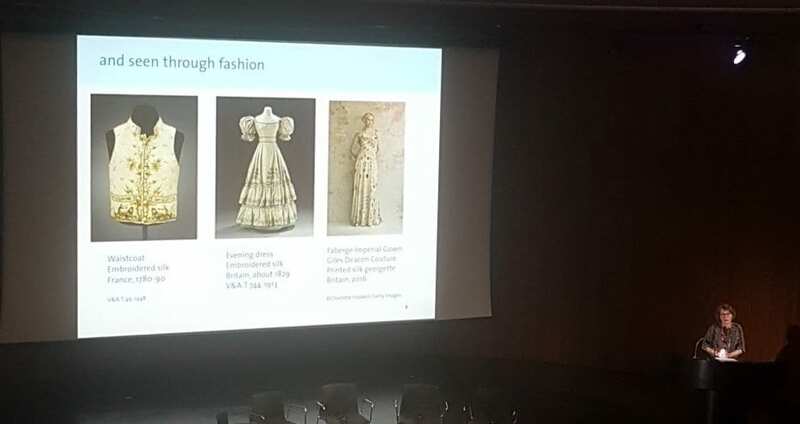 Fashion’s latest complex relationship with nature — sustainability — was the core topic of the recent conference hosted by the V&A on 5 October, “Fashioned From Nature: Designing a Sustainable Future”. The Sustainable Angle’s Founder and Director, Nina Marenzi, and Curator & Consultant of the Future Fabrics Expo, Amanda Johnston, both had the pleasure of being guest speakers at the conference, covering “The Material Future of Fashion”. The material discussion was finished off with a Q&A alongside Orr Yarkoni from Colorifix, and Oya Barlas Bingül from Lenzing. Key speakers at the conference ranged from academia to global brands to journalists to textile leaders, including our friends at Centre for Sustainable Fashion, CELC, Nike, and Stella McCartney to name a few. Industry experts were brought together to explore creative and practical ways to reduce the environmental impact of fashion, from small-scale innovations to new methods being introduced by global brands. As Edwina Ehrman, Senior Curator of Fashioned from Nature, states, “In this fashion exhibit, the environment and nature is at its core”. Sustainability is now a design principle. Guest speakers Amy Powney and Carrie Somers from fashion label Mother of Pearl, can attest to this. They started their design process via a pilot sustainability project, researching materials with conscious environmental and social impacts with the aim to create a transparent supply chain. This led to the ‘No Frills’ collection, one of their most commercially successful collections. Beyond being aesthetically beautiful in design, many of their materials turned out to be cheaper than using conventional materials. Mother of Pearl’s project proved that the benefits of applying sustainable material sourcing are not only environmental but economical. CELC Linen, The European Confederation of Flax and Hemp suppliers is the main sponsor of Fashioned from Nature. Their socially responsible European Flax® fibre certification ensures no irrigation, GMOs or waste. The Masters of Linen certification label from CELC means the entire supply chain of flax is grown, processed and manufactured in Europe. 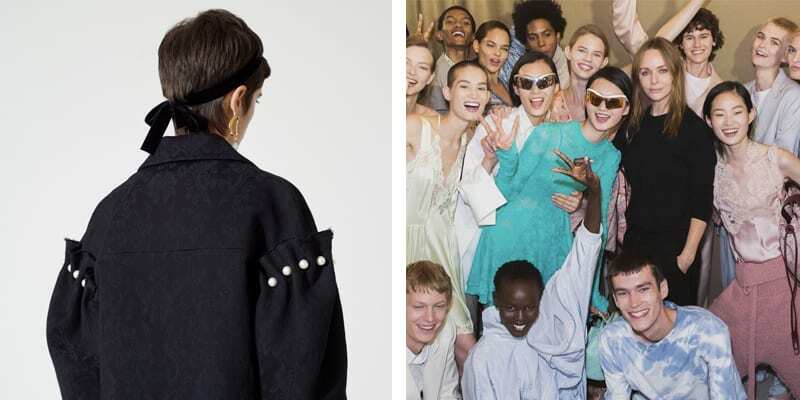 Claire Bergkamp, Worldwide Director of Sustainability and Innovation for Stella McCartney, says that their Spring/Summer 2019 collection was the most sustainable yet. The collection used recycled materials, sustainable viscose, and innovative leather alternatives to name a few. “Leather is 10-20x more impactful on the planet than vegan materials”, she adds, but recognizes that synthetics do have problems such as their end-of-life stage. Our own The Sustainable Angle presentation was about “Transforming the industry requires a bold re-imagining of how we manage our resources. It is presenting opportunities for material innovation,” says Nina Marenzi. Together with Amanda Johnston, a range of materials from the Future Fabrics Expo were introduced to the audience. This included emerging innovations such as Nova Kaeru’s fish leather processed with low impact tanning, and organic silk denim and biodegradable sequins. Commercially available fabrics were also shown, such as sports fabrics made with Seaqual’s recycled and recovered marine plastics. There were also biodegradable cellulosic fibres from sustainable wood sources produced in a closed loop cycle, such as Tencel™. An updated, sustainable denim from Bysshe was introduced, which is composed of fibres made from hemp (grown on marginal lands without pesticides, fertilizers or irrigation) and blended with organic cotton (rainfed, grown in crop rotation). Left to right: Nova Kaeru, Seaqual, and Bysshe. With major industry players placing sustainability at the top of their agenda, Fashioned from Nature is a culturally-relevant exhibition that dissects how the fashion industry can use the past and present, to become empowered to think for the future of the planet. We were proud to have contributed to the exhibit by introducing the curators to sustainable materials from the Future Fabrics expo. Thank you to the V&A for inviting us to speak at the conference. REGISTER TODAY for our upcoming 8th Future Fabrics Expo. Fashioned from Nature is on display at the V&A until 27 January, 2019. Visit the exhibition.